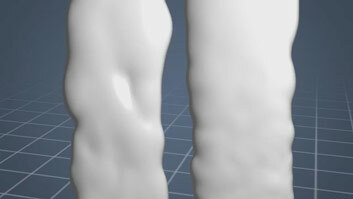 The full course is 44 minutes long and available in a number of affordable formats. A corrugator is a large machine with a "wet end" and "dry end." 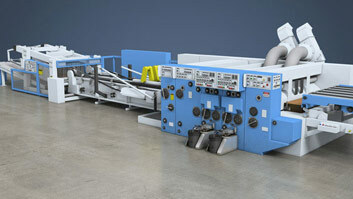 The wet end contains the single facer unit, bridge and double facer unit, and the dry end contains units which cut, slit, score, and stack the resulting sheets of corrugated board. 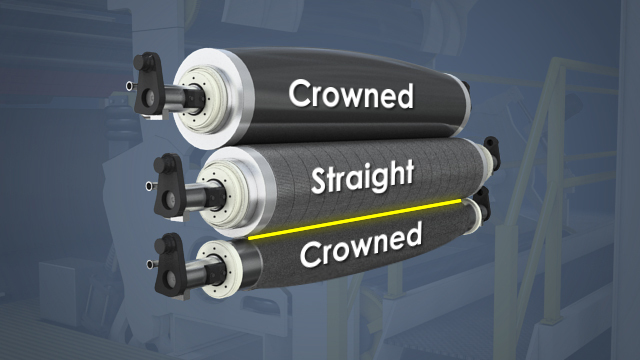 In a typical single facer unit, the first corrugating roll and pressure roll are crowned to ensure uniform cross-machine nip pressures in the corrugating nip and single facing nip. The style of the flutes, which determines the height and spacing of the flutes, is determined by the size and shape of the ridges in the corrugating rolls. To change the flute style, these rolls must be changed out. A corrugator is a large machine, made up of a series of smaller machines, that combines two different kinds of paper to create cut sheets of corrugated fiberboard. 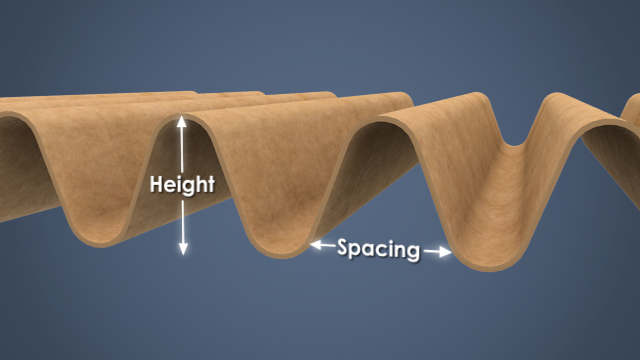 The flat, facing sheets are referred to as the liners, and the wave-like, fluted layers are known as the corrugating medium, or simply medium. The corrugator takes large rolls of paper produced on paper machines, flutes the medium and glues it to the liners, one at a time, and delivers stacked, cut, and scored sheets of corrugated board to various converting machines. 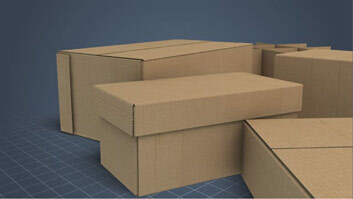 The converting machines convert the sheets of corrugated board into "box blanks," which are ready to be made into boxes, and other corrugated board products. How are the flutes in the corrugating medium created? The medium is heated and conditioned with steam before it travels through the nip created by two corrugating rolls. The corrugating rolls have alternating ridges and grooves which mesh together like gears to form the flutes. What is the purpose of the "bridge" which carries the single-face board from the single facer to the double facer? The bridge provides temporary storage for the single-face board to allow for temporary changes in speed at the single facer or double facer. Why does the double facer need a hot plate section and the single facer does not? The double facer cannot apply as high a pressure as the single facer because it must preserve the flutes in the medium. 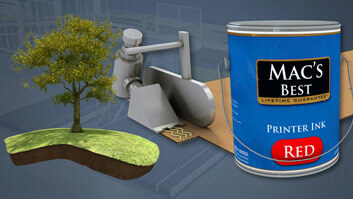 So, to fully cure the double face bonds, the sheet must be exposed to high temperatures for a longer period of time. What is the difference between downstackers and upstackers? 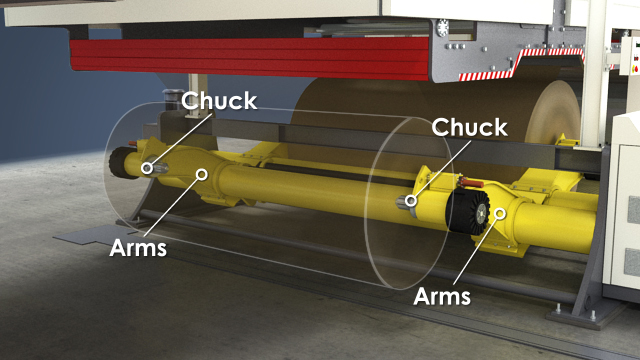 Downstackers have an elevator deck which automatically lowers as the stack builds to maintain the stack height relative to the last conveyor belt. Upstackers have a stationary deck and the last conveyor belt height automatically raises as the stack builds. Some corrugators can produce double and triple wall board. What is required for each additional wall? For each additional wall, the corrugator requires an additional single facer unit, bridge level, and glue unit in the double facer glue unit. The medium is fluted and glued to one of the liners at the single facer. The preheated and moistened medium travels first through the corrugating nip between the two corrugating rolls. The corrugating rolls have alternating ridges and grooves, which mesh together like gears as they meet in the nip to form the flutes in the medium. After the corrugating nip, the medium is held against the second corrugating roll either by thin metal plates called fingers, vacuums applied to the inside of a perforated corrugating roll, or a pressurized chamber that presses the medium up against a solid corrugating roll. As the fluted medium approaches the nip with the pressure roll, a glue roll applies adhesive to the outer tips of the flutes. The preheated liner enters from the other side of the single facer. 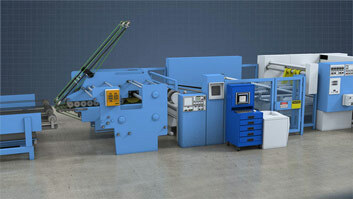 It contacts the fluted medium in the single facing nip between the pressure roll and the second corrugating roll. It is the heat and pressure present in this nip that are responsible for the bond that must hold the medium and liner together until the bond can fully cure. The strength of this initial "green bond" depends on the adhesive formula, adhesive application, and time and temperature in the single facing nip.